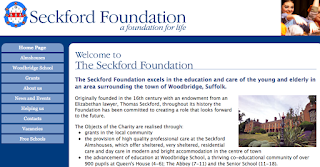 Is the loss making Seckford Foundation looking to make money from free schools? 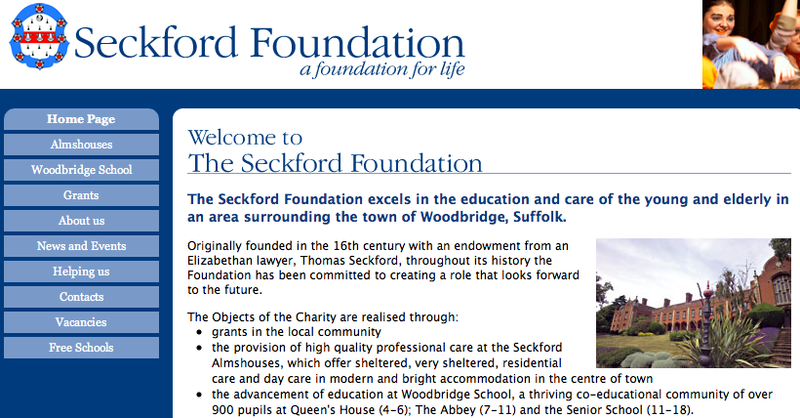 For 400 years the Seckford Foundation ran Woodbridge School, for a while they ran a library and they also run Almshouses. All in Woodbridge. Just what has happened in the last twelve months that has prompted Seckford to propose running three new free schools and possibly two libraries right across the County? The Seckford Foundation is not interested in the educational needs of Beccles but have both their eyes fixed on the pots of Gold they see at the bottom of Mr Gove's rainbow. The people of Beccles should do all they can, including writing to their MP and signing the petitions against the free school to prevent this farrago from making any more progress. If we do not, then the excellent local educational provision will be diluted by critical amounts of our school's funding being transferred to the Seckford Trust. The costs of setting up a free school would be a scandelous waste of public money, syphoning off funds which should be for the benefit of our children. The free school proposal is educationally unsound, and if parents carefully consider the arguments and the true interests of their children, I hope they will see the glossy self-interest of the Seckford foundation for what it is, and have nothing to do with it. The net loss for the year after tax and realised losses on investment assets is £543,610 (2009: £244,835) this reflects the fall in income as a result of the reduced numbers in the school; down from 983 in 2009 to 929 in 2010, and also to the increased level of depreciation resulting from the bringing into operation on the 15` September 2009 of the new Sixth Form and Belstead Centre. In fact there have been losses for each of the six years that accounts are available totalling some £2 million over the six year period. Now Seckford are clearly financially stable with plenty of money in the bank to cover this at least for now but making a loss cannot go on forever. "To investigate new ways of widening access for the services on offer by the Foundation." But this might relate to their existing services - Woodbridge School and the Almshouses. The reasons that the Seckford Trust have suddenly decided to expand remain unclear and as they are not a public body it is impossible to use Freedom of Information or access to meetings to find out. This has led many to speculate that this is a money making venture. After all, why would a loss making organisation start to branch out otherwise? Updated on Sat 11 Feb at 17:35 to incorporate the 2010 financial data that I did not have at the time of the original article.